GOING FORWARD PLAN – Results from the Summit. 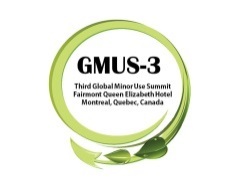 The First Global Minor Use Workshop. Seeking Pest Management Solutions for Growers Around the World, September, 2015 in Chicago, IL, USA. Program and presentations, click here. Please see presentations from the 252nd ACS National Meeting & Exposition Symposia on “Who Should Regulate Pesticides in Our Food?”. click here.